Coney joined the CBeebies’ Rhyme Rocket team to visit thousands of 4-7 year olds around the UK and help save the universe ‘one rhyme at a time’. 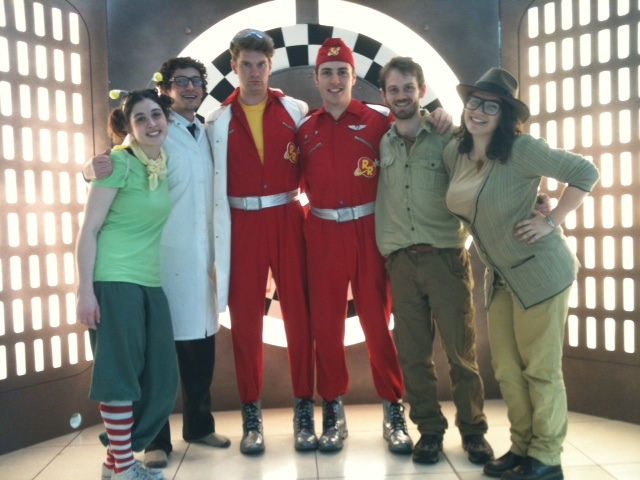 Inspired by all things poetic, our workshops introduced young audiences to the gigantic alien fly and amnesiac explorers. We devised two workshops for the Rhyme Rocket tour, Alien Fly and Return from the Planet of Wow, that applied the principles of our Adventures in Learning to short workshops lasting half an hour. The characters cast their young audience in the role of heroes, coming to the aid of a confused, delightful and gigantic Alien Fly and forgetful space explorer Albert McCow. The workshops explored the fun of rhyming words and non-words through interactive play. The tour called in at London, Salford, Glasgow, Washington and Armagh.